How will Christians retain their spiritual identity in the Next Society? 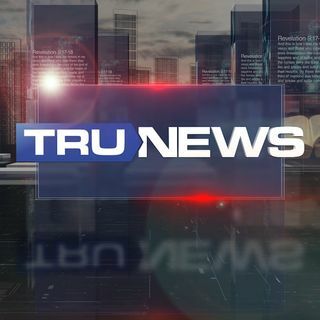 Today on TRUNEWS, Rick Wiles shares the second part of his sermon on what he learned at the 2017 Mobile World Congress about the formation of an artificially intelligent Global Brain. Rick also discusses how the Body of Christ must respond to this impending technological transformation. Since we have accepted the technology of the atom and have rejected the sermon on the mount ..
so much for a smartphone, the word should have been anointing rather than annoying. so maybe it's annoying to the devil we hope so, right ...so keep up the good work Rick. Home run Wiles. The trip to Spain has now got you up to speed...well done. Good preaching...keep this pursuit...very few are telling this. my wife and I work for Both at@t and verizon for several years. the catchphrase was always and I quote "The Internet of Things". I used to tell my friends that the phones we're able to track every movement and was laughed at most of the time. This was common knowledge among those who worked at that level. Keep up the good work and may God bless you with the annoying to continue this message for the people.